Here it is guys!!! This is to Thank alllllllll my fans and friends Who helped my Theme reach the Frontpage of DeviantART. And to celebrate my Shine 2.0 I thought there is no better way than to create Square icons to go with it. 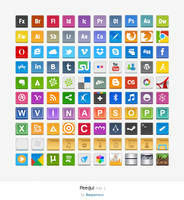 This pack contains over 100 icons!!!!!!!!!!!!!!! P.S. anybody in the mood of sending me a dribbble invite? Is there a way I can install the icons all on my computer like with 7stp? Hey, I really like your icons. 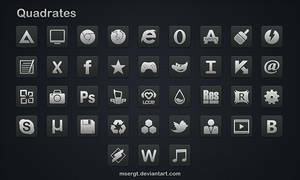 but I have to ask your something, I have to install this icons one by one? it's can take hours, there is some program that can this Icon package easily? Very usefull even they are not all standardized and fully metro. ewwww....these companies have their designer to work on their logo icons....why dont you create something that will help someone..you could have created icons for any web application. Wow thank you! gonna use this! folders is always in style meter eMule, uTorrent and JDwonloader? ps: but when it is posted then the new package? no idea when I will do the next one. But utorrent is already there. And also a generic download icon for any downloading software. 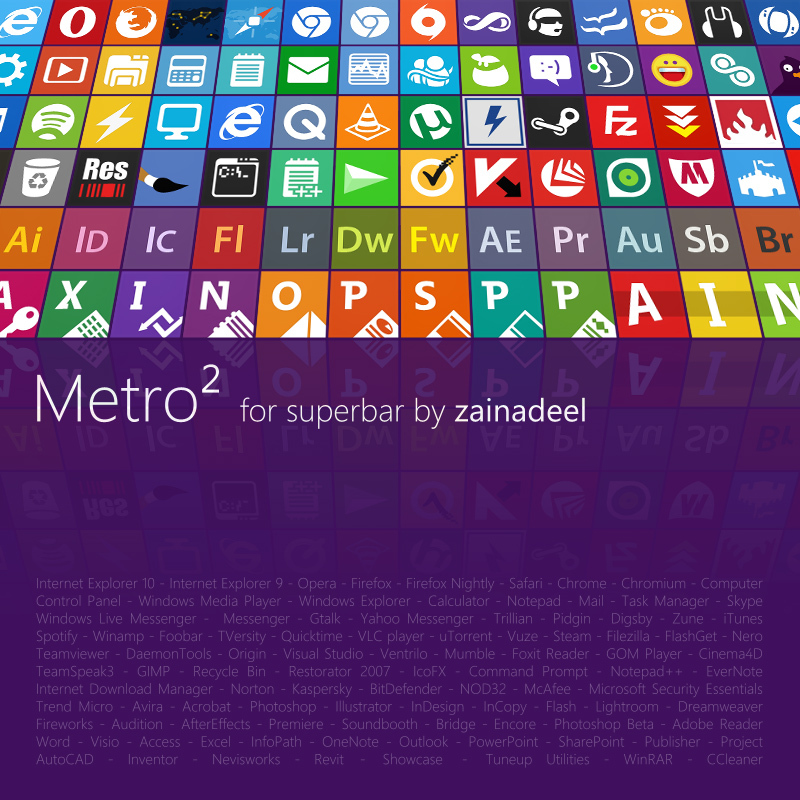 It's be cool if you made a larger version that would work on a windows 8 tile! i will be doing that don't worry. well if a day was 48 hours.. sure! I am not so happy with the default icons either.. is there a way to change them? Im posting a mockup I made.. comparing with the native icons. oblytile is what you're looking for. 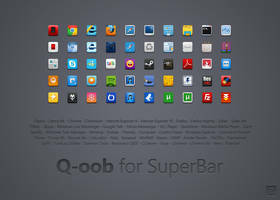 how do you change superbar icons in winsows 8 > ? 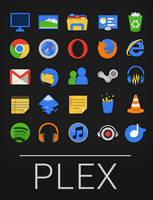 Please make them bigger, There is a program that allows you to ad full tile icons for the Desktop applications. It's called OblyTiles. 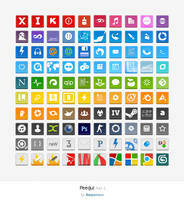 If you made them 256x256p then these icons will be so heavily download for this purpose of adding them to the Windows 8 Start Menu. Please please make them bigger. so they need to be 256x256? one question I have for u.
can u show me a file to know how to scale the icon within that 256 so it looks equal to the native icons? Please do release this in higher res! The files only need to be 120x120, must have changed since flippinwindows posted his comment. Be sure to save it as PNG since the program uses .PNG. Good luck and will looking forward to some great work. Great work man! put me in trouble now! I missing icons to match! thank u that looks amazing. i do appreciate how the icons arnt full size. makes the taskbar look less cluttered and cleaner. Hello! First of all, Great icons!! Also Great visual styles! I've been using Shine for almost a year and now I'm switching to Katharos. I'm using this set of icons with it. Anyway, since you're one of the few who keeps working on his visual styles/icon packs etc I though I should input my impressions/desires for the future. I've read in the comments below that you will be making bigger versions. That's exactly what I want. I would also want to have icons for Total Commander and XnView and also a colored windows logoed square start orb. At the moment I'm using this one [link] But I think you can do better. Thank you! Cheers!